H&M is a Swedish fashion retailer which operates in more than 60 countries. The original shop in Sweden dates back to 1947. The brand began to expand throughout Europe in the 1970s and then further around the globe in the 2000s. Today, it is the world’s second-largest clothing retailer. It is known for fast fashion and more recently began selling homewares. With hundreds of high street stores, plus an online store, there are multiple options for returns if you change your mind. This guide tells you how to return to H&M to get a refund. Read this to check H&M’s policy. H&M allows 28 days from the date of purchase to return them. However, when you order online, you should notify H&M within 14 days if you want to withdraw from an entire order and return everything from it. For H&M Designer items, they will only accept returns within 3 days. The goods must be in their original condition and ready for resale. This means no damage, soiling, washing, alteration, or wear. The tags should also still be intact on the product. You might only receive a partial refund, or even not receive a refund at all, if your return does not meet these conditions. When you make a purchase from a H&M store, you can return it to any H&M store. If you order online, then you can also return these items to a H&M store. This excludes H&M outlets, however. In both cases, you must provide proof of purchase to get a refund. This should be your sales receipt or the delivery note from the parcel. You can also get an exchange instore, unless you paid by PayPal or H&M credit. In such a case, when you return instore, you can only get a refund on a gift card. If you receive an incorrect item in a delivery, you cannot return this to a store. You must contact H&M about wrong or missing delivery items. Exchanges are possible up to the value of the returned items. You can only return H&M products through the post if you ordered them online. All H&M parcels should come with a pre-printed returns form along with the delivery note. Fill in the form to confirm the reason for your return and put it in the return parcel with the items that you want to send back. There should also be a Royal Mail sticky label that you can attach to the outside of the parcel. You can print one off yourself if you cannot find it. Then take the sealed parcel to a Post Office, send it, and obtain a postage receipt. Alternatively, you can return the parcel with Hermes. There should be a self-adhesive Hermes label, too. You can book a courier collection or drop it off at a ParcelShop location. 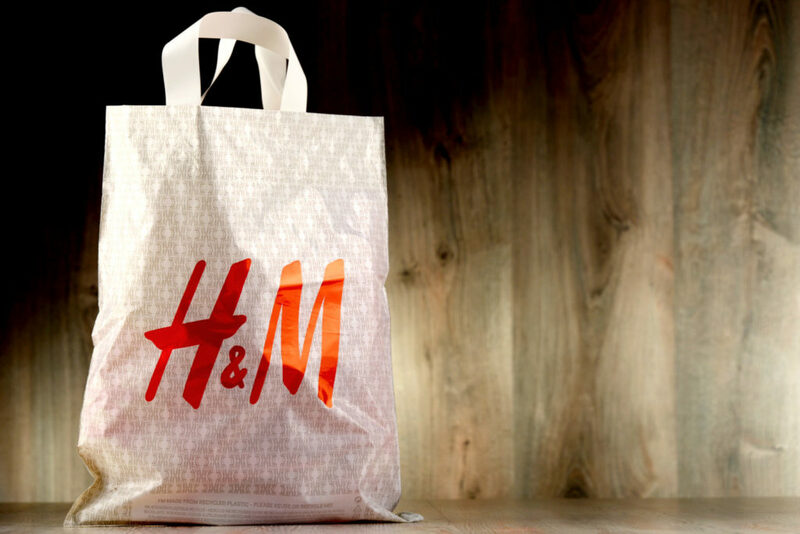 These are the only ways to return to H&M by post for free. If you use another service then you have to pay. H&M will issue refunds back to the original method of payment. Whether you used a debit card, credit card, PayPal, or an H&M gift card, this is where the money will go back to. When you return instore, the speed of the refund will depend on how quickly your bank processes it. If you return by post, you should receive the refund within 14 days. Once your parcel arrives at their warehouse, H&M will send you an e-mail to confirm that they are cancelling your returned order and issuing a refund. They will only refund the cost of standard delivery if you return the complete order. If you paid by gift card, then they will issue a new e-gift card to your e-mail address with the updated balance. Contact H&M if you do not receive the refund after 14 days from returning, or if there is a problem with your refund.